Bart Ehrman’s new book, Peter, Paul, and Mary: The Followers of Jesus in History and Legend, is due for release soon. The good people at Oxford University Press have kindly sent me an advance copy of the book, and I will be posting about it here at Faith and Theology. So stay tuned for some details about the book, and also for an exclusive interview with the author. 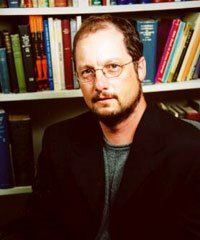 Bart Ehrman is currently one of the world’s most popular and provocative religious authors. One of the most interesting aspects of his career has been his gradual movement from fundamentalism to agnosticism. If you’re interesting in reading about his personal journey, there’s a very insightful and moving article here.